This dramatic thriller won an Academy Award® for Best Picture and Gene Hackman garnered a Best Actor Oscar® for his gritty portrayal of a detective trailing ruthless drug smugglers. 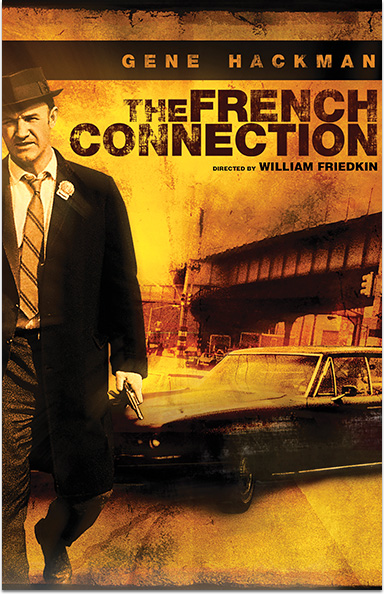 THE FRENCH CONNECTION © 1971 Twentieth Century Fox Film Corporation. Renewed 1999 Twentieth Century Fox Film Corporation. All rights reserved.